Accurate accounting is critical to the continued success of small businesses in the construction industry, but trying to manage these functions can drain time and resources. Build a solid financial foundation for your business with construction accounting services from Stanek & Company PC. 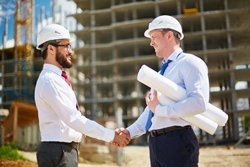 Whether you're in commercial construction, are a residential contractor, or a local tradesman, we’ll provide you with the accounting and bookkeeping services your business requires to run smoothly. Our knowledgeable Farmington Hills, MI CPA firm does more than help you manage daily bookkeeping and cash flow. We've worked with many businesses just like yours, so we understand your financial struggles and have real solutions. We'll identify practical ways to limit expenses and reduce tax liabilities in order to increase profits. We'll also perform specialized services that are unique to your industry like job estimating, job costing, and fixed asset accounting. Find out how Stanek & Company PC can develop a package of accounting and bookkeeping services for your construction business. Call us today at 248-888-0099 or request a free consultation online.